State Rep. David Simpson of Longview, a Republican who rode to office with heavy Tea Party support two years ago, is considering a run for Texas House speaker against incumbent Republican Joe Straus of San Antonio. 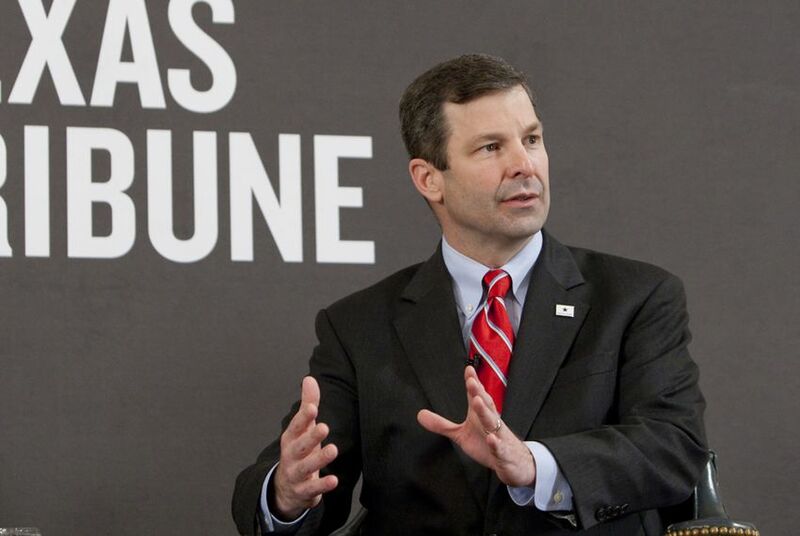 State Rep. David Simpson of Longview, a libertarian-leaning Republican who rode to office with heavy Tea Party support two years ago, is considering a run for Texas House speaker, he told The Texas Tribune late Monday night. Texas House members traditionally pick their speaker on the first day of the regular session. Straus, who replaced Speaker Tom Craddick, R-Midland, after an internal GOP shakeup in 2009, is running for a third term as speaker. Straus came to power with heavy support from Democrats, but after a session with a Republican supermajority in 2011, some are taking a wait-and-see approach entering the session that begins next month. Simpson seemed willing to throw the bedraggled House Democrats a bone, noting that he would favor an even-handed approach, regardless of party, in interpreting the rules. “I have told people I will vote for the most conservative, liberty-loving candidate on Jan. 8, that has integrity and will enforce the rules, even for the minority,” Simpson said.